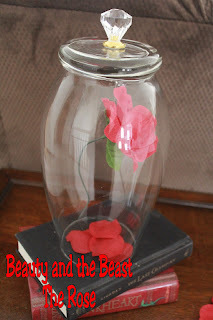 I'm not sure you can have a Beauty and the Beast party without including the iconic Rose. So I have been looking for a way to add this as the centerpiece to the table. I was lucky and found a big, beautiful vase at Goodwill last week that I think works great. I added a crystal cabinet knob from Home Depot, some string, and a Dollar Tree rose. 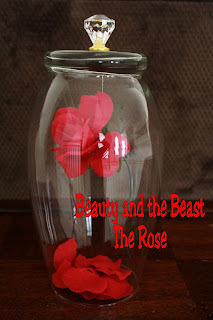 I trimmed the rose off the bunch and bent it to look like it does in the movie. Then I tied a piece of string around the top of the rose stem. 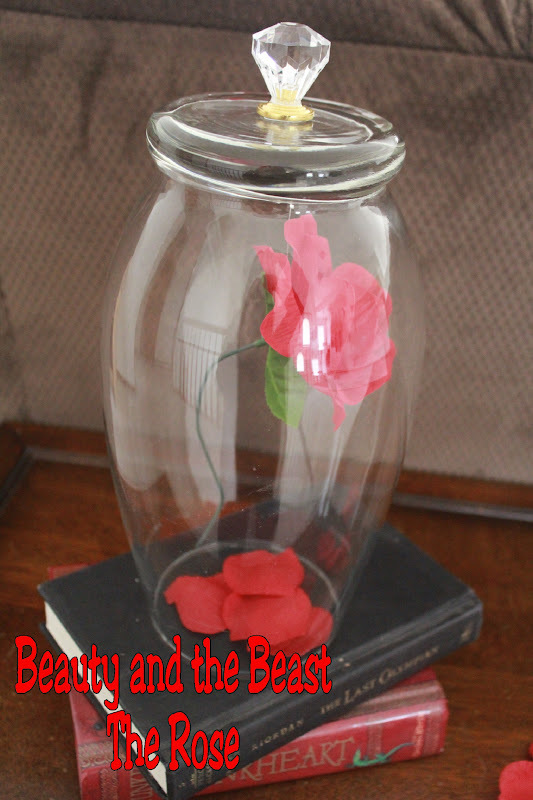 It was a little difficult to get the glue gun into the glass, so it would be good to find one with a wide base, but I dabbed a bit of hot glue in the center of the bottom of the vase and stuck the string to it. It took me a couple of tries to get the string to be just the right length (I ended up using only about an inch in length.) But it wasn't a problem, because the glue peeled right off the glass and allowed me to start again. When I finally got the spot right, I used a cabinet knob to hide the glue spot. I found this crystal and gold one that worked perfectly. 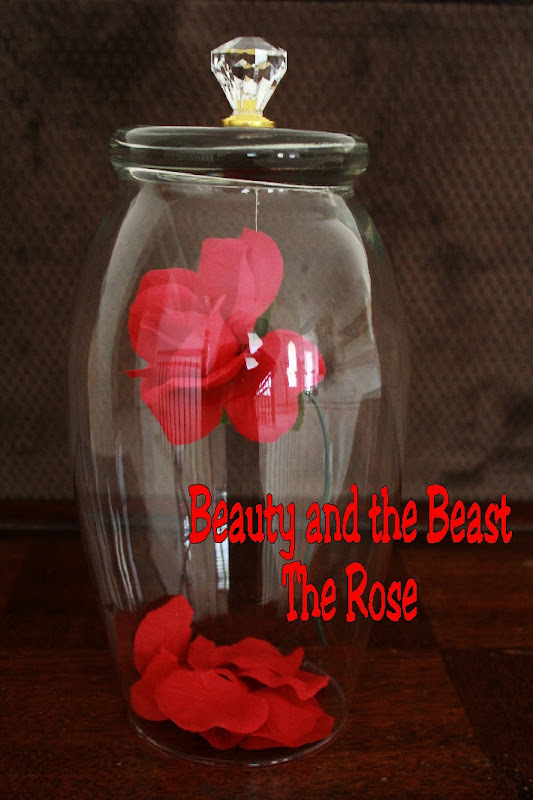 To finish off the rose, I dismantled another of the roses and cut the petals into separate pieces. Then I added them to the bottom of the vase to complete the look.